Metal roofing does wear out and there is always the possibility that you need to replace it with some higher quality materials. If this is the situation you are in, the specialists at CBI Tulsa offer some advice to take into account, especially when referring to the common materials that are used. Many different metal roofing materials are nowadays used but comparing them is something that is needed so that you can make the very best possible choice at the end of the day. The very first thing that should be on your mind is choosing the very best metal roofing material. The market nowadays gives you access to steel, aluminum and copper as really popular choices. You can also use zinc alloy or stainless steel. These are really common among roofs because of the various advantages they offer. Based on the chosen material, roof appearance, durability and price are going to be different. Out of all the common materials, steel and aluminum are mostly preferred by roofing companies. Steel is actually present in most homes as the chosen roofing material. Steel has the main advantage that it is sturdier than aluminum, but it is also heavier. Based on the indications of manufacturers, you can apply many coatings and finishes so that you can protect the steel from corrosion and regular rust. Steel will normally be zinc-coated with the purpose of adding the necessary corrosion protection. If you want to fight adhesion, just one coat of high-quality epoxy primer is enough. Besides this, an acrylic top coating will offer the much-appreciated color and protection. Sheet systems are perfect for durable commercial uses since paint finishes are going to withstand elements for years. The most common fluorocarbon coating is Kynar. 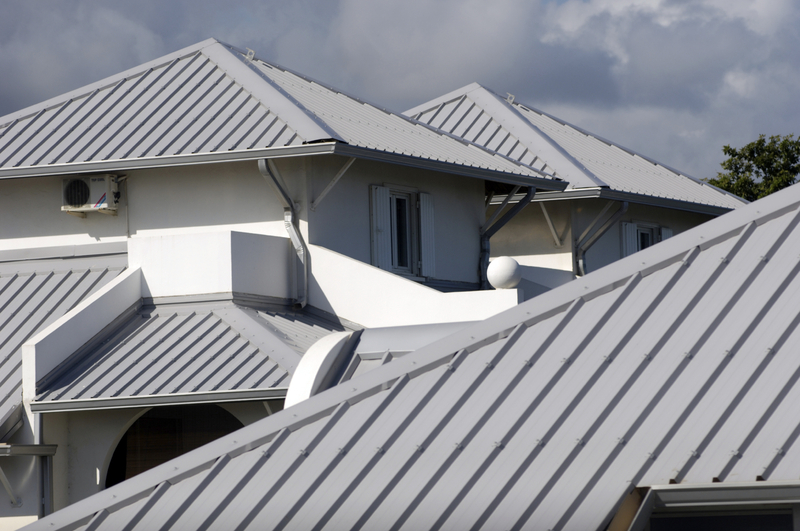 Aluminum is often preferred because it is lightweight, making it really popular among metal roofs. Rust is not going to affect aluminum. However, you will need to coat aluminum or paint it for a perfect appearance. Coatings are basically exactly the same as what you will see used with steel. Aluminum is soft as a material and does not have the same strength as steel. Also, you should be aware of the fact that aluminum is not recommended by the environmentalists because of the fact that the resource stands out as being really precious. Besides the commonly used roofing materials mentioned, you can also opt for many others. The problem with them though is that they are normally going to cost a lot of money. However, if the home that you own is more expensive, the higher-end materials might actually be exactly what you are looking for. One of the best choices is considered to be copper. It is also a material that does not rust and no finish will be necessary. Copper can so easily be bent without difficulty since the metal is soft but the downside is definitely the price. If you are looking for something that is durable and with high strength, you can consider alloy roofing.